Seasons may pass and memories may fade, but photographs are meant to last beyond the confines of time. These days, technology makes it easier than ever to snap pictures, what with smartphones in virtually every pocket — but, arguably, harder to enjoy them after the moment has passed. If yours are stuck on your phone or computer, it’s time to find some meaningful ones and learn some clever new ways to display them. Think beyond frames and albums — print photos onto fabric or decals and use them in simple crafts projects that you can appreciate every day, for an instant escape all year round. 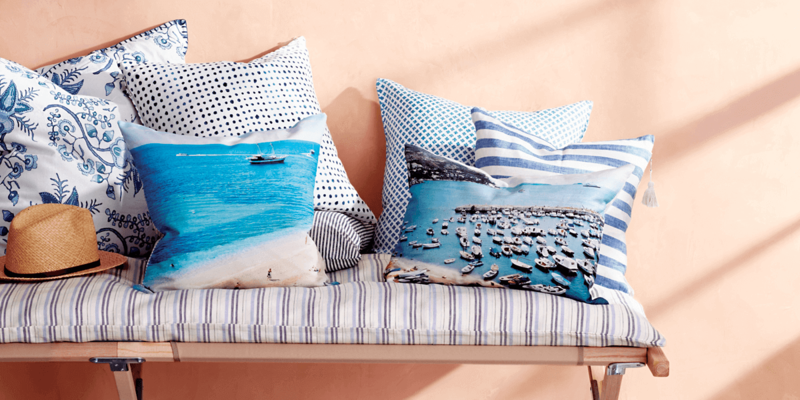 Personalise your home decor with printed photo fabrics that can be sewn into pillows; beach and boat scenes go beautifully with blue-and-white patterned fabrics. Printing your own fabric works well for some projects, but there are benefits to having your designs printed professionally — you can create larger pieces, choose from a wider range of textiles and usually get sturdier results (with fabrics that are machine-washable, for example). Spoonflower is easy to use — you upload your image and they do the rest. The pillows shown are made with a linen cotton blend. Put a personal spin on party supplies with family vacation memories. 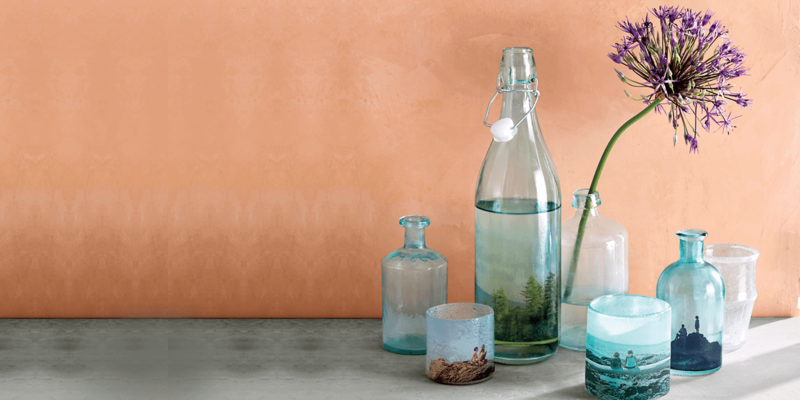 Wrap decals around pale glass bottles and votive holders for table decorations with a charming sea glass look. These super thin, clear printable decals come on a paper backing. Give them a coat of clear varnish, then soak them briefly in water — they will slide off the backing, ready to be applied to glasses or other smooth surfaces. Trim the edges more precisely once they’re applied. Supplies: Photos, inkjet printer, clear waterslide decals, spray varnish, bowl of water, glass votives or vases and detail scissors. 1. On your computer, size photos for the desired decals. Print onto decal paper. Spray with varnish; let dry. 2. Cut roughly around the images, leaving a small border. Put in water until the decals start to peel off the backing, for two to three minutes. Slide a decal onto a votive or vase. Blot with a paper towel. Let dry slightly, then trim with detail scissors as needed (e.g., to align with the edge of a pendant). Let dry. For a more durable finish, spray with more varnish. Weigh down napkins and tablecloths on breezy days with découpaged rocks (or use them on your desk as paperweights); printing the images onto thin rice paper lets the texture of the rock come through, so the image appears to be painted on. Try using thin rice paper with a subtle texture on one side. It is slightly translucent, so once it is adhered to a rock, for example, it becomes “part of the rock,” rather than appearing to be sitting on top. Supplies: Rocks, photos, rice paper, inkjet printer, clear tape, découpage medium and brush. 1. Choose rocks with a flat surface on one side. On your computer, size each photo roughly to the size of a rock. 2. Print photos on the smooth side of rice paper; to help feed the paper (which is thin) through the printer, first put a strip of tape all the way along one short edge of a sheet, on the textured side; print on the smooth side. After printing, carefully remove the tape. 3. Cut out the image, trimming to fit the shape of the rock to be used. 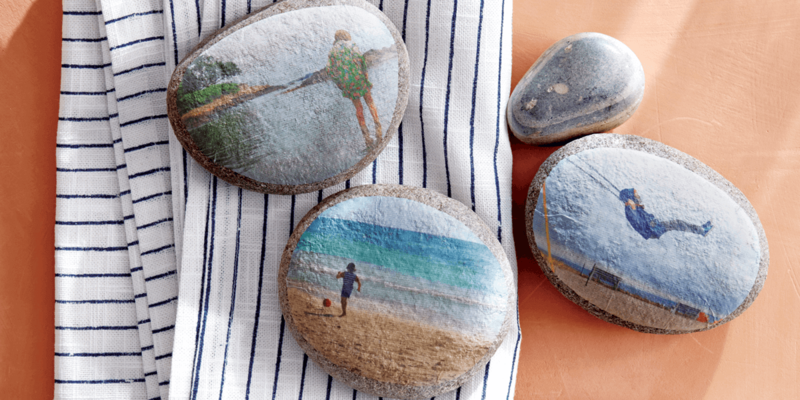 Brush the découpage medium onto the back of each photo, press onto the rock and smooth into place. Let dry slightly before coating the image with more découpage medium. Let dry. Digital photos are made up of coloured dots called pixels. The more pixels in an image, the higher the resolution; the higher the resolution, the larger you can make the picture before it becomes grainy. The number of pixels is expressed as a dimension — e.g., 640 by 360. The size of the file (in megabytes, or MB) can also be used as an indicator of quality, but pixels are a more consistent guide. Today’s digital cameras and smartphones can take good quality images. Generally, if your device shoots in eight megapixels or higher, it is capable of taking a picture that can be enlarged well. 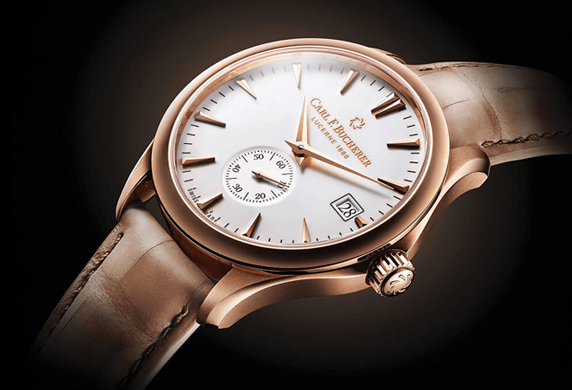 However, several factors can lessen the resolution. Cameras can be set to take pictures at low resolution to save space, so check your settings. Emailed photos may have been sent at lower resolutions. Cropping a photo also makes it lower resolution. Taking photos through apps such as Instagram or Facebook, or uploading them to a site, often makes files smaller for use online. So use your phone’s camera instead (and remember to save the original). Many photo-printing websites have guidelines on reproducing images. For instance, one recommends a minimum resolution of 540 by 360 pixels for a four-by-six-inch photo, and a minimum of 2,100 by 1,400 for a 20-by-30-inch poster. Keep these in mind.